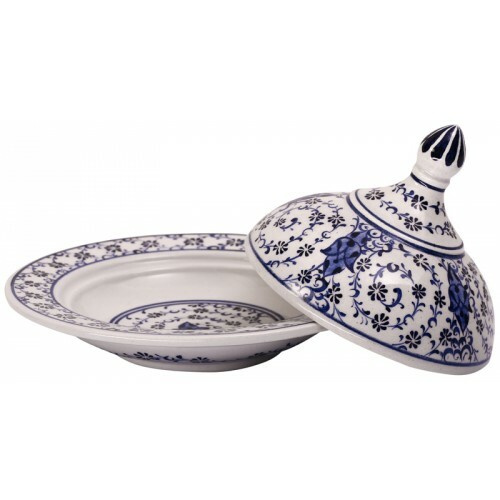 Golden Horn Palace Turkish Delight Bowl - small | HOME | Designed by Be.St. 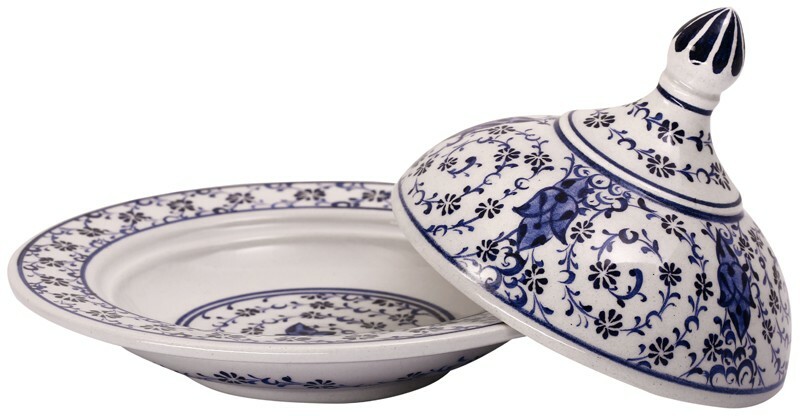 This traditional Turkish ceramic art bowl is designed and hand crafted in faithful accordance with Iznik (Nicea) techniques the golden era of Ottoman ceramics. It is made on ceramic lathe and decorated with the “Golden Horn” theme and the Rumî motives. The “Golden Horn”was used as a decorative design element in the Royal Seals and Royal edicts during the Ottoman era. The helicoidal structure symbolizes immortality and infinity. Rumi themes are also among the most important elements in the Turkish decorative arts dating back to the IX and X centuries to the central Asia’s Uygur Turks. They expressed the strength, abundance, kindness and sometimes the evil in the animals with unique designs. Lead free, hand wash is recommended. Dimensions: Diameter 14 cm., height 9 cm. Designed by Be.St brand represents the unique style of the designer as a result of a long period of restoration and decoration experience and the deep research on the Ottoman patterns. Her fine style has been seen at all decorative objects and silver and gem jewellery of the collection. All products at the collection are a result of excellent hand craft and technique.